A luminary is a body that gives light to others... a person who is an inspiration to those around him or her. To honor these rare individuals, CRYSTAL WORLD has created "Luminary," handcrafted from fine optical crystal. 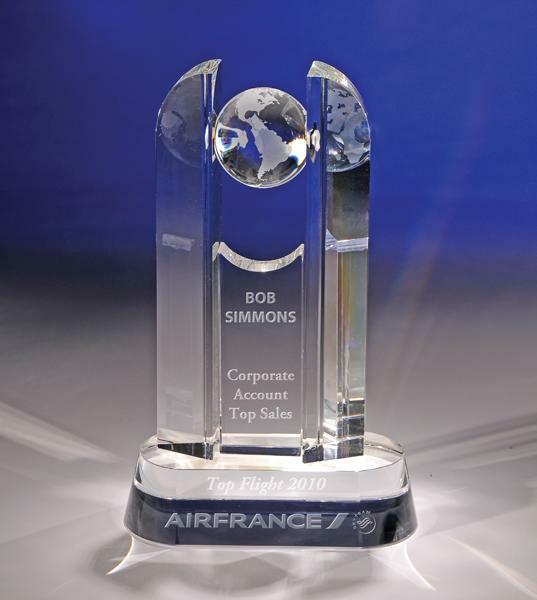 "Luminary" will make a perfect recognition, incentive or sales leader award; corporate, executive or retirement gift. Ideal for the financial services, health, manufacturing, transportation, retail, IT or sales industries; sports, performing arts or entertainment fields; or the non-profit arena. Available in clear or blue. 6" x 3" x 9 1/2"